Are you considering a fence for your swimming pool? Then, do take a look at the glass options. The range of glass pool fences is quite big, from frameless to framed. You can choose what suits your preference the best. 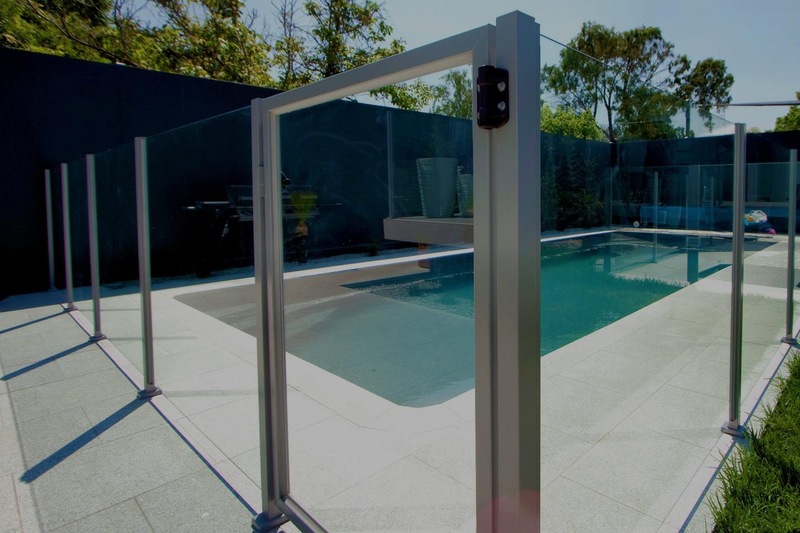 A relatively new style that is rapidly gaining prominence in market is the semi frameless pool fencing which is a mixture of the good features of a framed as well as those of the frameless pool fence made of glass. If you look around your city, you will find various companies and businesses not only offering such fences, but also offering to install them for you. – WHY THE SEMI FRAMELESS GLASS FENCES ARE CONSIDERED A GREAT HYBRID? Whether you go for frameless or framed glass fences for your pool, you can be sure that you will get the best deal. Even then, all products do have some pros and cons. But before going into all that, you need to understand what semi frameless fences actually mean. These fences have posts only on the sides, leaving the top and bottom empty. Absence of a frame in the frameless kind of pool fence can help elevate the aesthetic value of your home is quite clear. So, the fact that there are frames only on the side and not the top, improves your view and is a significant upgradation from its predecessor, the framed kind of pool fence made of glass. The steel posts are embedded deep into the ground to make the pool fences more durable and stronger. These also lend a certain degree of support to the glass itself. So, the semi form is an upgradation from the frameless kind as the frameless kind had the support of spigots only. Here the glass gets support of the posts on the side, making the design better than the frameless kind. So, once you have fixed your mind about installing the semi kind of glass pool fencing, you need to find a supplier who is ready to install the fencing as well. – WHY SHOULD YOU CONSIDER EMPLOYING PROFESSIONALS TO INSTALL POOL FENCES? You might feel that after getting the fencing supplies it will be an easy job to install the fencing yourself. But in reality, the job might catch you unaware due to the nitty gritty involved in the process. When assigned to an expert, who has been doing this job for many years, the job will be done much more efficiently, cost effectively and smoothly. If you have no idea or prior experience in installation of glass pool fences, then there is a high chance that you will end up doing the job incorrectly or buying tools and supplies that are useless. This will double your costs considerably as you need to first undo the mistakes and then install the pool fences properly. Do you have any idea about how many steps might be involved in the installation process? It is a process that includes numerous steps about which you might not have the knowledge. The professionals on the other hand have in-depth knowledge and expertise in this matter, so they can do the job faster without any hassles. Have you ever installed a pool fence before in your life? The answer would most probably be no or maybe a few times. Professionals have been doing the job on a regular basis for a long time, making them much more experienced. Once you have set your mind on getting semi frameless fences for your pool, call the experts and just sit back and relax as they install the fencing efficiently. When they finish installing the fence, your job is to enjoy the pool without the tension of any accident; and make the best of the features of the two fence types.